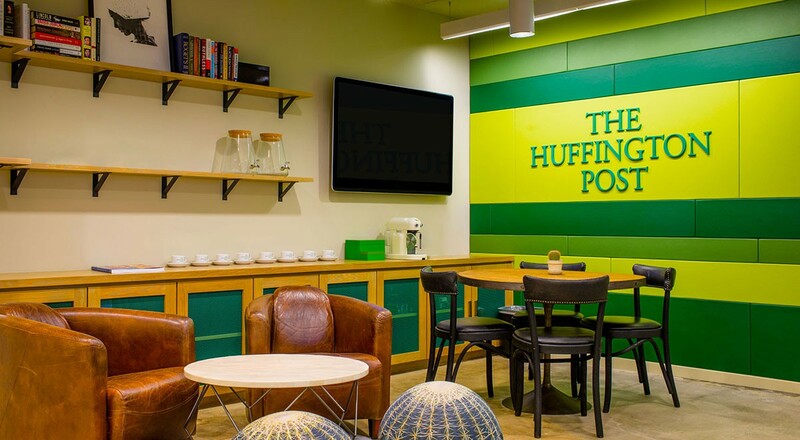 Muro creates impactful feature walls at the Washington DC offices of Huffington Post. The break room wall features a mix of leather qualities and shades of green in addition to varied panel sizes. Constructed of high quality leather wrapped around standard or FR (Fire Rated) substrates, all panels come preinstalled with Z-Clip fasteners for easy hanging. 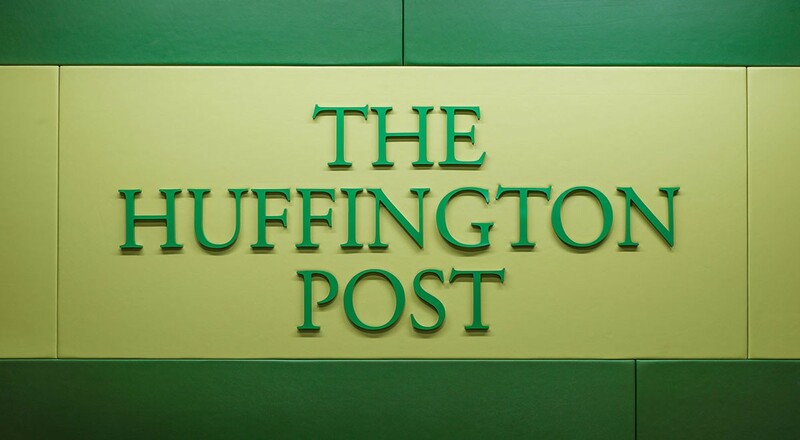 Pin-mounted signage of the Huffington Post logo is mounted to the chromatic walls. For more information, please visit Muro.